As a designer we all need some inspiration to work for our next project. While inspiration can be from anywhere but the best way to find inspiration is by looking at other designer’s work. Well that exactly why I have written this post. Today I am going to share some amazing whatsapp UI redesign for your next project inspiration. Most of the designs are taken from Behance.net and Dribbble.com shared by other talented designers. Also before we jump into the inspiration pool, let us all thanks to Vikram Sahu who helped me to compiled this post. Sahu works for OMGApk where he write about Android apps. You can check his recent post about YoWhatsapp, a Whatsapp mods which provides many great features. Whatsapp is without a doubt one of the best social messaging app we are witnessing currently. And because of the great popularity of whatsapp, many talented designers share their creative whatsapp design. Let us look at the some of the most creative design of Whatsapp. Wahib Kerkani did outstanding job in showcasing the Whatsapp UI in dark mode. I always wanted to see how Whatsapp looks in dark mode and I definitely think Wahib did amazing job. While the stories at the top looks very similar to Facebook app however it still looks amazing in this dribble shot. I personally love this redesign a lot. Mr. Chaudhary did amazing job in this design. The UI is extremely minimalist and very soothing to the eye. And who can forget the font, that looks stunning. I loved how everything at the screen while extremely clean and beautiful. Another very sleek UI design for Whatsapp. Also the group icon is much better in this UI. Noticed the green dot near the profile picture? Yeah, that’s a online indicator. Also the Call tab is removed from the UI, which is pretty amazing in my opinion because that is very annoying. Another very cool Whatsapp UI with a complete UI redesign. This Whatsapp UI has many amazing features components such as login via Facebook, Google and via Email. It also has an “Online” options at the top of the UI which shows how many people are online from your Contact list. The Profile UI is also completely changed in the UI redesign which I liked the most. The color of the UI is amazing in my opinion. Very soothing to the eye. #1. Hello Guys, I am here …..
They’re the only ones who offer a 200% money back guarantee on every product. This means that if you’re not happy with it, you get your money back and you also get to keep the product. 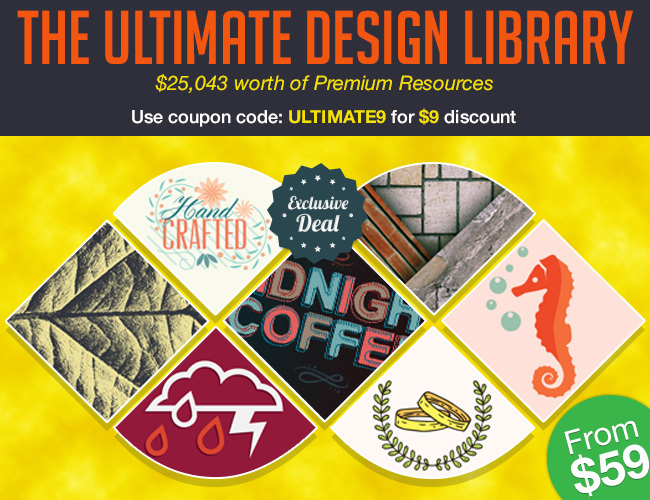 Inky Deals came up with a ginormous bundle, The Ultimate Design Library: $25,088 worth of Premium RF Resources – From $59 and because they’re our friends, you can grab itl with an exclusive $9 discount coupon! Use the code: ULTIMATE9 at checkout. Download a free sample and test it as you want! Just click on the “Download” button for an instant download!